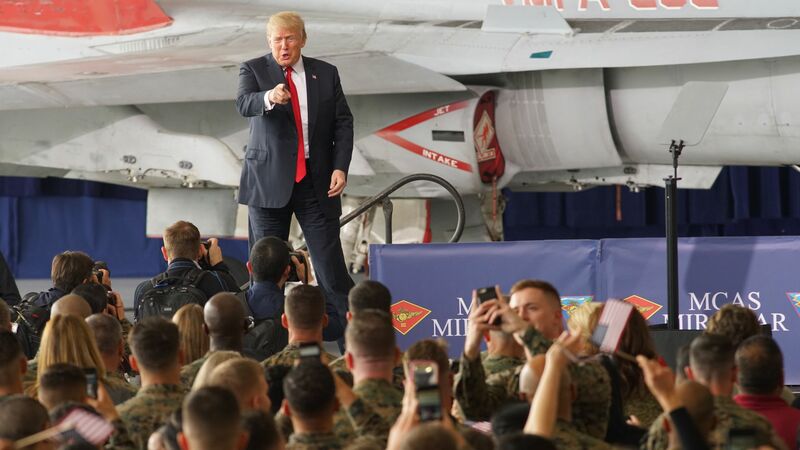 Halfway through his second year as commander-in-chief, President Trump has yet to visit U.S. military servicemembers on the ground in the Middle East — though he has visited them domestically and internationally and wants a military parade to show off America's might. Flashback: A few months after the invasion of Iraq, Bush visited troops on the ground in Iraq — in total, he made two trips to Afghanistan and four to Iraq. And, in April 2009, three months after his inauguration, Barack Obama visited troops in Baghdad. He also made four trips to Afghanistan.